We have been talking the past few months about water damage from frozen pipes and ice dams. 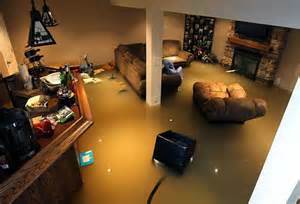 This month I would like to discuss our agencies most popular homeowners claim we see each year- Sump Pump Failure. The scenario we see goes like this: It is spring time and we are so happy to see that all the snow and ice have finally melted. We welcome the thunderstorms to turn everything green again. With all of this rush of water, it seems like our sump pumps run almost 24 hours a day. What happens if my sump pump stops running? Does it matter whether it is a mechanical failure or a power outage and I get 12 inches of water in my basement which ruins everything down there..Am I covered for this? ANY ONE that has ever experienced such a mess knows the feeling. As I have mentioned in a previous article, Water damage is an exclusion in the homeowner policy, and back up of sewer and water is an exclusion. The only way to have coverage is to have this endorsement added to your policy. Most companies offer between $5,000 to $75,000 in coverage options. However, the next problem you need to solve and understand is that there are some insurance companies that will only cover certain items in your basement such as your furnace, hot water heater, washer, and dryer..that is it!! WHAT??? What about your carpeting, drywall, furniture, pool tables, etc..so be VERY CAREFUL to find out exactly what your policy will cover. Please call our agency for any help or information so that if you experience this type of claim you can have the assurance of being properly covered. If you ever experience and need help with water restoration, please call our good friends at AAA Standard Services (419) 535-0274 and tell them Barron Insurance told us to call. They are great to work with!